Just when you think you’ve finally got the hang of this breastfeeding thing, wham, you get the flu. Or is it the flu? Hot, red, swollen breast with a lump in it? Wait…that’s not a flu symptom. Mastitis – another one of those pesky breastfeeding complications, as if breastfeeding isn’t complicated enough all on its own. How does one develop mastitis? Plugged milk ducts are the most common cause. These happen when there is an obstruction of milk flow. The first time your newborn starts sleeping longer stretches it may be a welcome relief (and it is, because when was the last time you got to take shower?) but your breasts don’t get the memo that a nursing session is going to be skipped, so they just keep on doing their thing. In those early weeks your body is trying to figure out how much milk to make and when you suddenly skip a session the milk sits in the ducts and can form a plug. So how do you prevent a plugged duct from turning into mastitis? Did you see that one coming? Sorry. Easier said than done, I know. It’s a topic that comes up quite often among breastfeeding moms. And over and over again the same advice is offered: frequent nursing or pumping, heat (Lil’Buds Breast Comfort Packs are awesome for this) and massage. Something that is recommended a lot is an electric toothbrush…wait, what?! No, not the brush part, the handle! I don’t know about you, but the back end of my toothbrush is not very soft. The thought of pressing it onto an area that’s already hot, swollen and tender doesn’t sound all that appealing to me. There has to be a better option. The LaVie Lactation Massager was developed specifically for breastfeeding moms. So ladies, you can put away those toothbrushes because this little massager is here to rescue you. Use the wide side for broad stimulation of the breast and the narrow tip for more precise pressure, which can be applied directly to the area of concern. Betcha your toothbrush can’t do that! It fits right in the palm of your hand and features 5 different vibration modes, as well as the ability to increase or decrease the intensity all with one hand. Because as moms we can’t ever be expected to have more than one hand free at a time. The silicone used to make this device is not your average everything-sticks-to-it silicone, it’s so soft! Its smooth surface slides right over your skin. The LaVie Lactation Massager is also waterproof…so you know that moist heat that was recommended before? You can bring this right into the shower and massage the clogged duct WHILE you’re under moist heat. Multitasking at its finest. Hey, just be glad you got to take a shower in the first place. Guess what else? You’ll never have to worry about the batteries dying (why is it that this always seems to happen at the worst possible time? ), because the LaVie Lactation Massager is rechargeable! Yep. You read that right. Waterproof AND rechargeable. What do you do with it when you’re not in the middle of a plugged duct crisis? Use it while you pump to stimulate more let-downs and increase your pumping output. 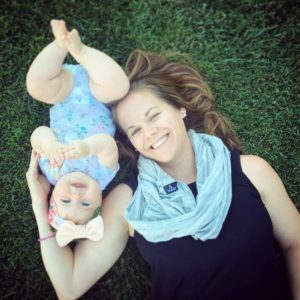 As a full-time working mom, I pumped a LOT during my daughter’s first year. Pumping is hard. Really freaking hard. 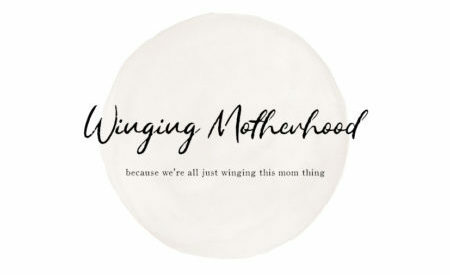 I have SO much respect for the moms out there who do it exclusively, especially because you don’t have a little nursling to help you unplug those plugged ducts! The LaVie Lactation Massager is small enough to toss in your pumping bag so you’ll always have it when you need it. This little lifesaving gadget retails for $34.95 and trust me when I say I’d pay triple that if it meant avoiding even one case of mastitis. It is definitely on my list of must-haves for breastfeeding moms. To find out more and order your own LaVie Lactation Massager, visit the website here.